Automotive - Kevin Allan Dooley Inc. Automotive - Kevin Allan Dooley Inc.
Everyone deserves an enjoyable car ride. Infrasound suppression in automobiles could reduce / eliminate driver drowsiness & passenger motion sickness. This is a significant fact, because it demonstrates that infrasound is independently capable of causing symptoms that have long been attributed to acceleration on its own. At least one study has shown that infrasound directly affects the vestibular system. Car drivers are exposed to very high levels of infrasound, which are disproportionate to acceleration (motion) levels. 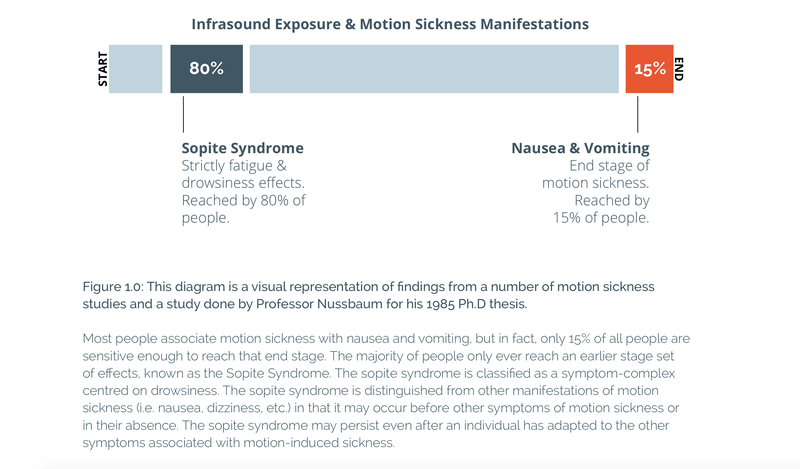 Research has shown that infrasound on its own causes motion sickness symptoms, the most common of which is called Sopite Syndrome. This syndrome is centred on drowsiness & fatigue, as well as lethargy, cognitive impairment, and yawning. Nausea is an advanced form of motion sickness that happen to approximately 15% of people. Sopite Syndrome is an earlier stage of motion sickness reached by up to 80% of people. Kevin Allan Dooley Inc. has invented a device that will suppress infrasound in the vehicle cabin. We call the device the Vehicular Infrasound Suppression Device (VISD). The VISD works by actively regulating the barometric pressure fluctuations present when the vehicle is underway. The aftermarket unit is roughly the size of an automotive alternator, and could be installed by qualified auto mechanics. We expect this invention will reduce motion sickness and related fatigue & drowsiness symptoms. 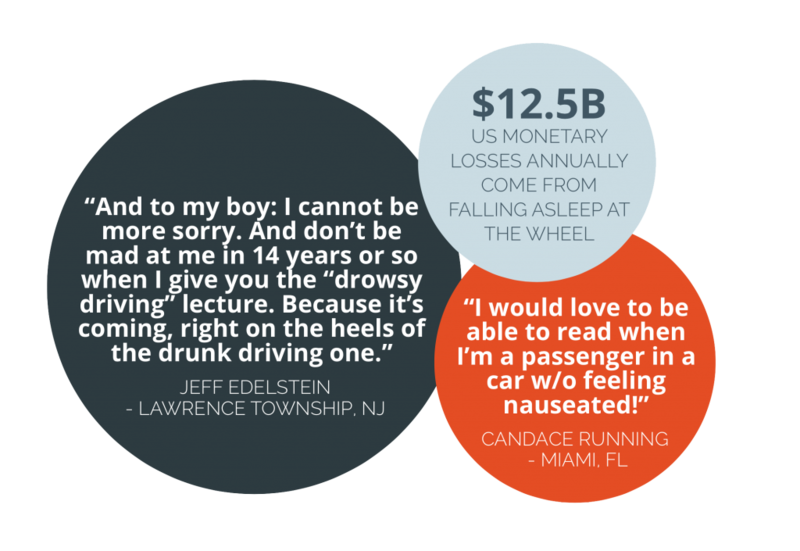 The goal is to minimize the probability of drivers falling asleep at the wheel. With this demonstrated, we expect the device to be seen as a safety mechanism that can be put in all vehicles, similar to ABS braking. This invention works in harmony with reactive safety alert systems (presently in high-end luxury cars), by proactively reducing the chances of people setting off the alert systems all-together. will be able to comfortably focus their attention on colouring books, video games, and other activities without feeling nauseous or uncomfortable. Adult passengers will be able to read, and undertake activities that do not require them to look out the window, making for a much more enjoyable traveling experience. Presently, no technologies exist to reduce vehicle fatigue and motion sickness symptoms proactively. Many high-end car makers are however beginning to implement reactive technologies for driver fatigue, such as the Mercedes-Benz Attention Assist, which monitors driving habits and alerts the driver accordingly. Our VISD will work in harmony with these systems, reducing the probability of ever activating the system all-together. Combined with these reactive technologies, our system will contribute to a double layer sleep / drowsiness prevention effort.